It's great to see how things are moving in Europe. Makes me wonder if I should move back home? Seriously this is great and I hope more projects like this will come to take advantage of the natural energy around Scotland. Imagine a time when in the not to distant future where we see a reduction of oil tankers worldwide and and increase in the health and well being of our oceans as well as affordable sustainable energy to run industry and homes. Why isn't the entirety of England, Ireland and Scotland's coasts not littered with these things already? This such a simple and doable idea, and a free resource that will always be there...unless we are hit with another ice age in the next decade or three. Scotland may be a small country, but its stake in the future renewable energy is about to get serious as Aquamarine Power’s Oyster 800 Wave energy device will soon be installed and connected to the UK grid. 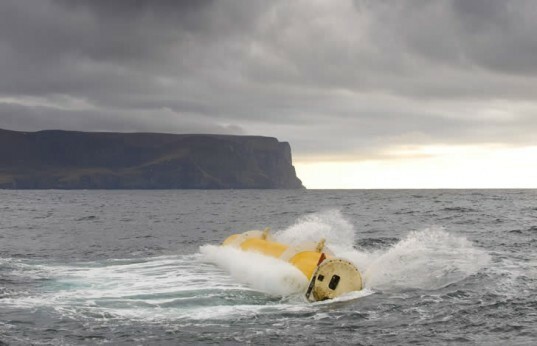 We covered the launch of this innovative “near shore” Oyster 800 device last year, and earlier this week Scotland’s Energy Minister Fergus Ewing granted full consent to developments of the 2.4MW wave energy demonstration project. 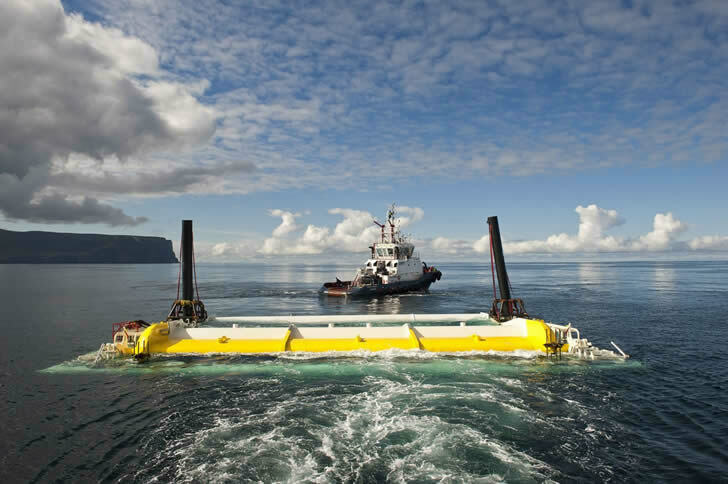 This consent means two further Oyster 800 wave energy devices will be installed at the same site at the European Marine Energy Centre (EMEC) in Orkney, and this will create the UK's first grid-connected near shore wave power array with a total of three 800kW Oyster devices.